Fueling up on coffee has quickly become part of our morning routine. We tend to splurge a little bit more on a cup of joe on the weekends--partially to treat ourselves after a hard work week, but mostly because we love finding cool spaces to hang out in as we start our day. In a land where cute coffee shops are bountiful, there's always a new place to visit in Downtown LA. One weekend, we decided to visit Daily Dose Cafe. Tucked away in the Arts District, this literal hole in the wall cafe was a unique and quiet place to grab brunch on Saturday morning. 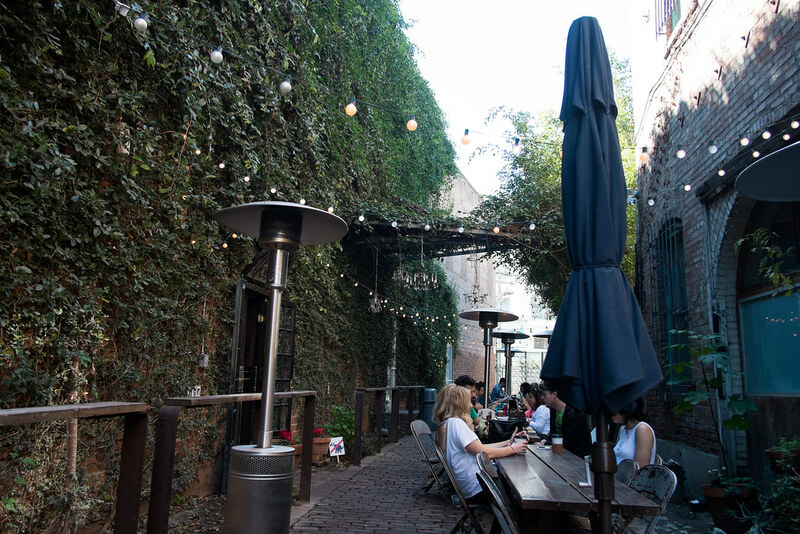 With fairy lights strung above and vines overtaking the walls, the outside seating area was quite cozy despite being in an alleyway between two brick buildings. Rain or shine, we will always order an iced coffee, and this cup of cold brew didn't disappoint. One of the best parts about blogging is definitely the people you get to meet through it. I've known Sybil of Animated Confessions for years now. 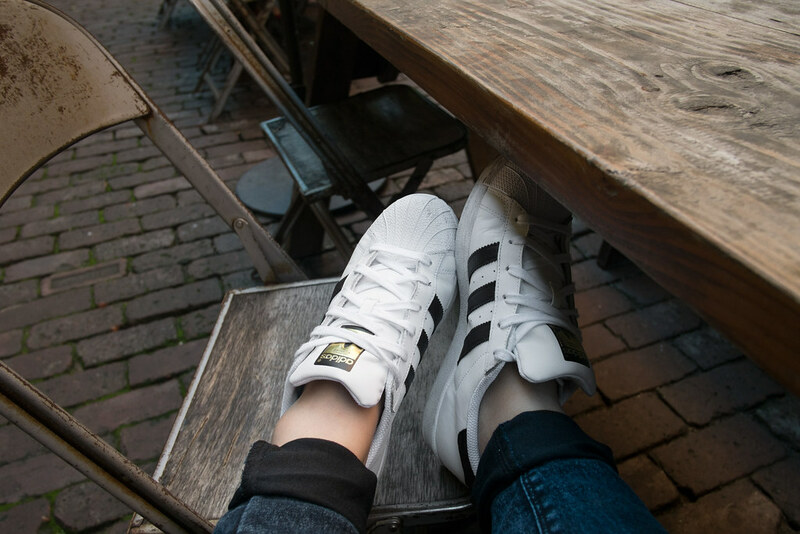 She runs a lifestyle blog that follows her adventures in Winnipeg. 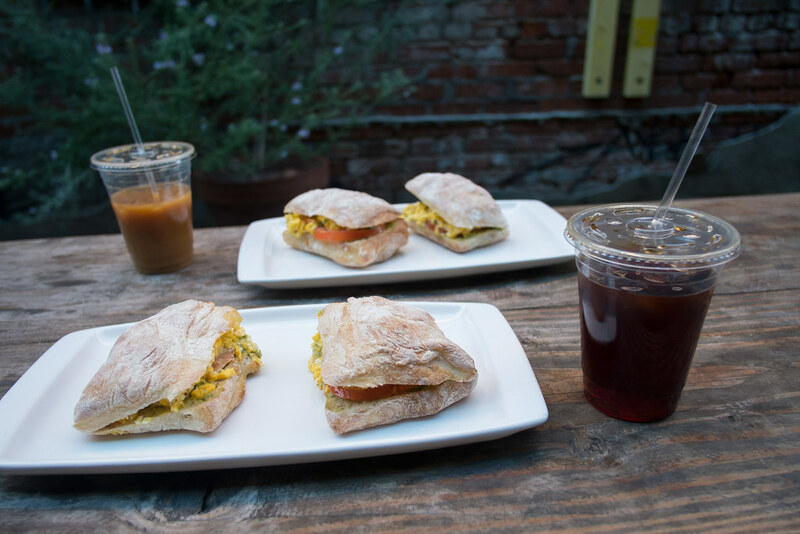 With a shared love for coffee, we wanted to collaborate on a post featuring local cafes. 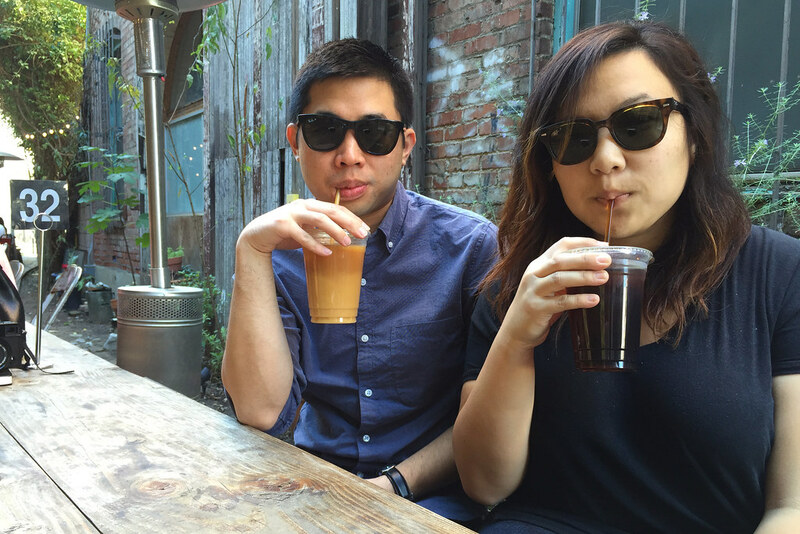 Long before Brandon and I started this blog, I used to run a personal style blog. A couple years and NYFWs later, I realized that my creative needs were different and so this blog was born, but the friendships I've made over the years have remained the same. 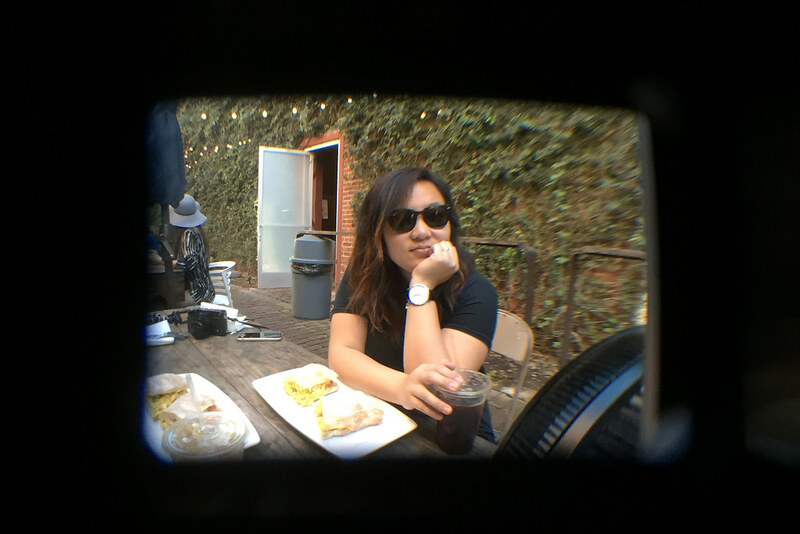 Head on over to Sybil's blog to check out her visit to Folio Cafe! 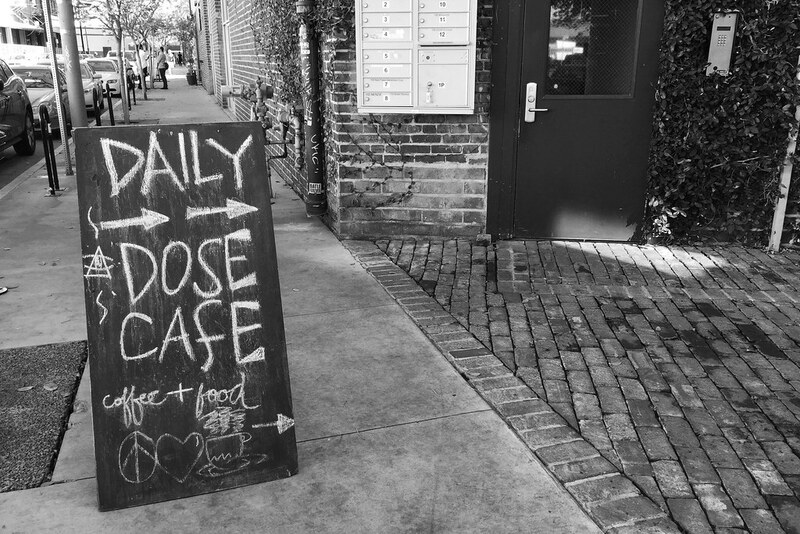 I've always wanted to try Daily Dose Cafe! So glad to see this post! that space/spot is a hidden gem!! love the lights, back-alley location and all the yummy eats! this turned out really well. It's quite a shame for me that I'm giving up coffee for Lent (hence I got tea in my post). we should totally do another collab (maybe add other bloggers too!)! This looks like such a cute place! So cool that you know Sybil! I've been reading her blog for a long time now and I really enjoy how she mixes outfits with cafe/restaurant visits in her posts. This place looks very interesting. I've bookmarked it for a future visit to LA. Looks like an amazing place to chill. Looks like a super nice place to hangout! I definitely cannot function with my morning coffee =) Your breakfast def looks delicious. Thanks for stopping by my blog. The food looks great ! Such a cute café! And the food looks delicious!